The 5 GHZ Omni 11 Revse antenna systems are constructed of UV-stable fiberglass. The antenna comes with an integral N Female connector and is designed to be pole mount only. The material used for a construction make it lightweight and resistant for outdoor conditions. The antenna provides with 360 degrees at the beam width in the horizontal plane, it's cost effective base station antenna. 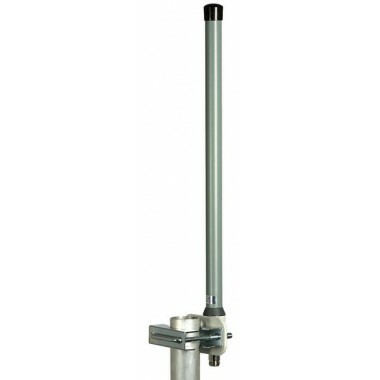 5 GHZ Omni 11 Revse antenna comes with N Female connector in standard, it's equipped with the stainless mast mount bracket.